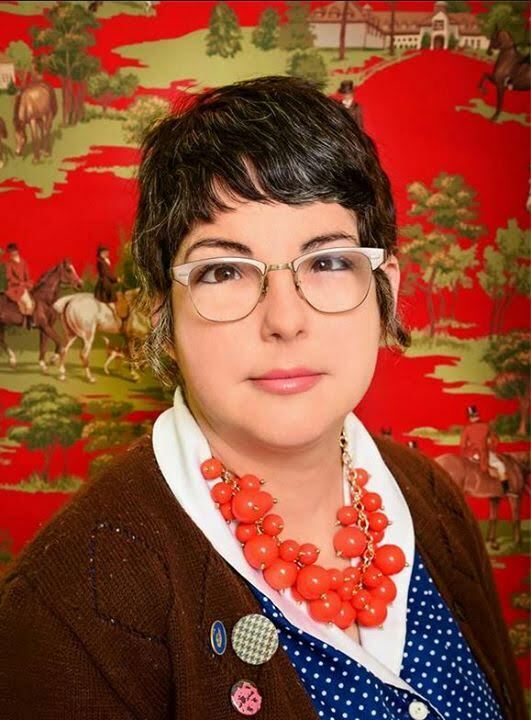 Our guest: Jen Corace is the renowned illustrator of Amy Krouse Rosenthal’s Little Hoot, Little Oink, and Little Pea; I Hatched! by Jill Esbaum; and Deborah Hopkinson’s Humblebee Hunter. Her latest, Telephone, which was written by Mac Burnett, was released in September 2014 by Chronicle Books. She is a graduate of The Rhode Island School of Design (RISD), and currently lives in Providence, Rhode Island. As early as I can remember … because apparently, I have always had a terrible memory … I can’t recall specific books but rather specific images in the books I looked at all the time. For instance, I can clearly recall a book whose interior art was red and black images on white paper. I remember a lot of bricks, a boy with a terrible face and freckles. I want to say that it’s something that relates to Santa Claus is Coming to Town, but I bet that song was either on or the Rankin/Bass Christmas special was on at the time I was looking at the book. 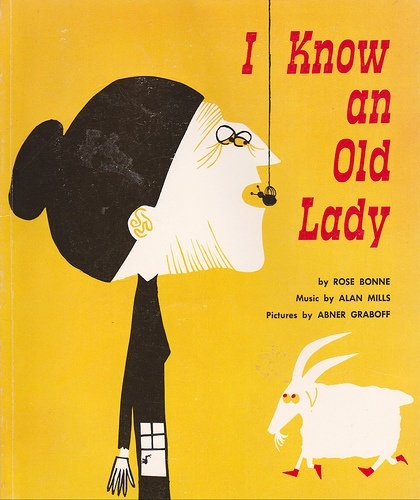 The first book I remember fully, that I still love, is Abner Graboff’s I Know An Old Lady (Editor – Illustrated by Graboff, written by Rose Bonne). The shapes are wonderful and the limited colors are so odd. Other than that, the other book that I highly associate with being a wee me in the 70’s is The Monster At The End of This Book. Grover was not my favorite muppet. He seemed unstable. He made me feel anxious every time he appeared on TV. The Monster at The End of This Book was my first real experience of attraction/repulsion. There were so many tense feelings. My television feelings towards Grover, my worried feelings for Grover in the book, Grover’s feelings of fear about the end of the book, Grover’s feelings about how you betray him every time you turn a page … heavy stuff. That book mesmerized me and made me feel awful all at the same time. 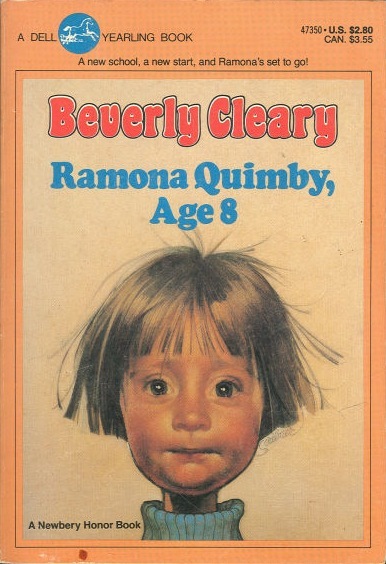 I feel like this is too obvious an answer, but I have to say Ramona Quimby. She’s a tomboy, has an older sister that she has a push/pull relationship with and she has a certain anxiousness about her. She has no ability to play it cool. While I also identify with her interior world of imagination, Ramona is far more extroverted than myself. I am very much a quiet, internal escapist. I will admit that in the second grade I got into trouble because of Ramona. We had a quiz of som sort that day and at the top of all of our papers we had to title the page. In classic Ramona style I fashioned the “O” of quiz into a cat and my teacher did not approve. Mrs Berry shut that operation down quick. I will also admit that, to this day, the Quimby family has made it impossible for me to make pancakes without second-guessing myself. I cannot remember which book it was in, but the family makes pancakes for dinner one night and a fight breaks out between the mom and the dad. The fight culminates in this moment where the dad accuses the mom of not cooking the pancakes all the way through. He slashes them open with a spatula and uncooked batter oozes out. Man, oh man, the feelings evoked in me through Ramona witnessing that scene stuck with me and are still with me to this day. On the one hand, how can this question possibly be fair? There is so much to love out there, past and present. On the other hand, I love constraint and rules. I will pick one for each category, but don’t hold met them next week. Who knows what next week will be like. 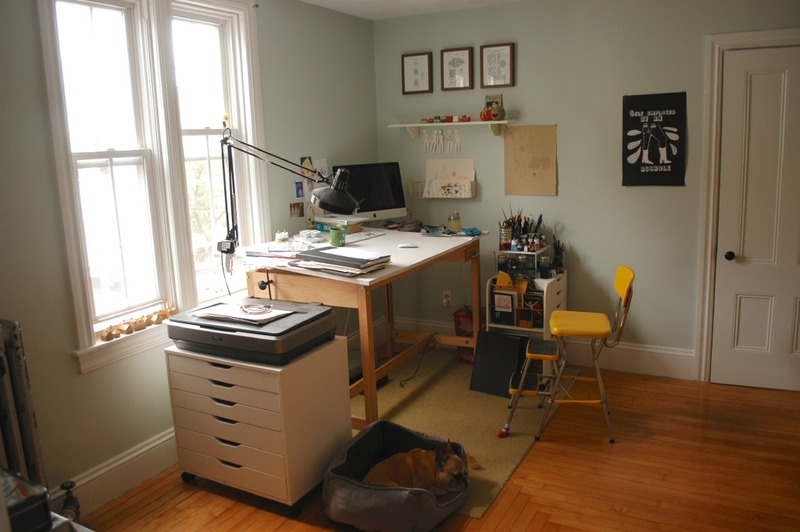 My favorite author would be Maira Kalman. Her word choice, timing and style of story telling are so surprising and delightful. Anytime I revisit her books I find things I didn’t catch before. 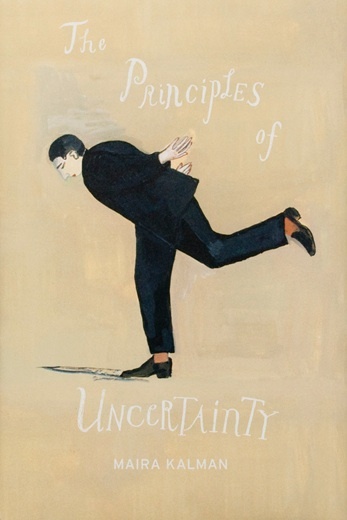 It’s not a children’s lit book, but The Principles of Uncertainty gives me real feelings. I love her words. I love her books. And of course I love Maira’s illustrations (left) as well … the words and art are symbiotic. 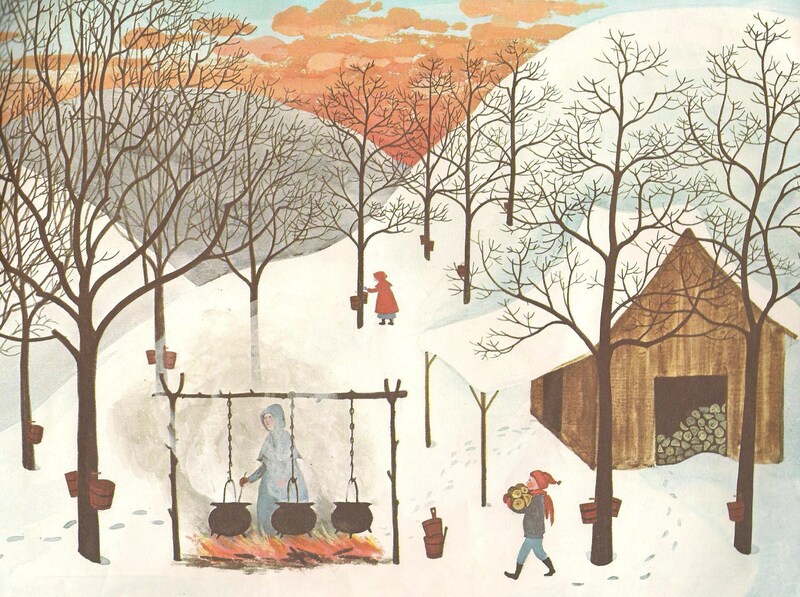 But right now and for some time Barbara Cooney has been my number one children’s illustrator. Her sense of color as it relates to atmosphere and how she flattens and stacks compositions blow me out of the water. 1. Melissa Guion: As I was answering this particular question, Melissa and I were exchanging messages via Twitter. I had posted about listening to Jim Croce’s “Operator” end on end and she, lovingly –maybe jokingly– asked if I was okay. How sweet! And I told her that it’s time to worry if I ever back Martha by Tom Waits with Famous Blue Raincoat by Leonard Cohen end on end. Anyhow, Melissa and I are good friends, I never see her enough. Dinner party-wise, she makes a mean martini, appreciates a good clam cake and is a natural conversationalist. She’s a good backup to have when I want to be quiet. 2. Miss Nelson (left) of Miss Nelson is Missing fame: Any woman who disappears herself, dresses up, essentially, as a teacher-witch just to make a point is my kind of gal. Miss Nelson has got some spice to her. I am guessing she might enjoy a Dark ‘n’ Stormy. 3. 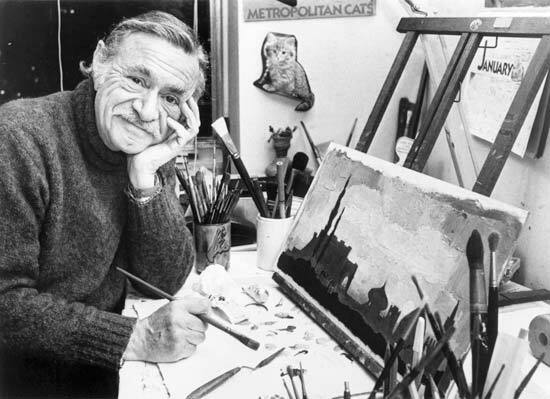 Ezra Jack Keats (right): A few years ago I saw a collection of Keats’ originals at the Carle Museum. Walking through the gallery I quietly teared up… It’s overwhelming to be in the presence of that work. I promise I wouldn’t cry if he came to my house for a dinner party. I half promise. I think I could put him in charge of the music for the evening. He would know how to string together the right combination of songs. And I am thinking he would like a bourbon, neat with a slice of lemon. 4. I wish Carson McCullers had written a children’s book, but she didn’t so instead I would have HOLD THE PHONE!! I took a chance and Googled “Carson McCullers children’s book” and this was returned to me. So, one thousand times Carson McCullers at the dinner party, please. We are birthday twins and her writing levels me. Once, at a local restaurant where friends work, we invented a drink named after Carson and it was comprised of chilled Makers Mark with a single blade of grass. She’d drink those all night. 5. 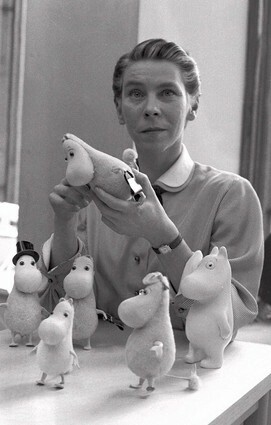 Tove Jansson (left)… How could Tove Jansson be a bad time? That would just not happen. She would probably bring some sort of Finnish liquor that was an old family recipe. The kind of old family recipe that would have everyone’s head hurting the next day. There are many, many good, amazing, talented, brilliant storytellers out there. I love a good story. What I love more are stories that come from some personal aspect of the writer/artist. The ability to take something personal to oneself and then make it universal or meaningful to other people –aka, strangers– is an amazing ability. And one step further would be the stories that are personal or intimate that don’t take themselves too seriously. Humor is the ultimate charm. Henry in Love by Peter McCarty feels this way to me, also Carson Ellis’ Home. I went to RISD for illustration, and had this narrative mindset about my work but mostly made fine art work for galleries in the early 2000’s. Then Little Pea happened and I was using an old scratchy style that I hadn’t drawn in for years and had to re-learn. Then I got to work on more books that more matched my gallery style. Only recently do I feel that these two worlds are coming together. 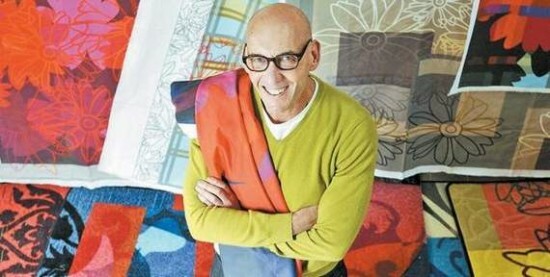 If I am ever asked what my style is, I usually say it’s a shapey love of color. And pattern. Sometimes lines. He’s just a bear, trying to do the best he can in a human world. The kind of chaos he creates in an ordered world would, like so many things, make me so anxious, but he just kept on Paddington-ing on. 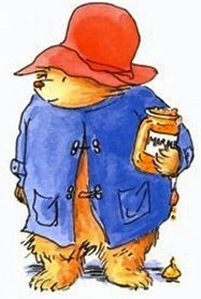 Coming back as Paddington would help me learn to be okay with making mistakes. Also I would have some nice coats and I bet he is a real cuddle machine. Also, similar to the pancakes in the Quimby household, I can always envision Paddington in the train station cafe, standing on the table with treacle in his bear fur. I feel that moment so clearly. A few years ago I spoke at a career day at a charter school in Rhode Island, after my presentation there was a Q&A section. For the most part I was asked how much I made, how old I was and what was my favorite color. All legitimate questions, sure. Seemingly out of nowhere, a very young little dude asked me if I had any regrets. My jaw dropped and time stood still. Whatta question! My response, after some quick reflection, was that I do my best to try to regret nothing. Where others might see failure or experience regret I try to take those opportunities as welcomed experiences to learn from. Typing that out it seems kind of hokey, but I am completely sincere about it. Not that this idea of going back to redo something necessarily denotes regret, but everything I’ve done is the product of the where, when, why and how of who I was at that time. The flaws I might see in my work are reminders to slow down or learning how and when to speak up or realizing when to stop … they’re all sorts of lessons there that I wouldn’t want buried. So, no? But not because I think that I’ve nailed everything I’ve ever done. I haven’t. But I’m more prone to picking myself up and moving forward than wanting to rehash the past. There are two pieces of advice that my brain returns to from time to time, both from teachers I had at RISD. The first is from Oren Sherman (left), and he always advised that, starting out, if you land a fifty dollar job, execute it like it is a thousand dollar job because the quality of that work will speak to bigger and better clients down the line. The second came from a liberal arts teacher, whose name I forget, but it was a writing class. His heroes were Raymond Carver and Ernest Hemingway. He prized succinct honesty in writing, writing that came from experience without flowery words cushioning the end product. His advice was that you could never write about something that just happened. That the best art that reaches other people comes from experience that has had the time to be digested, reflected upon and then written about with a knowing distance from the subject. Well, I am an Olympic-level procrastinator. That’s a big component of my process. Though, maybe fifty percent of that procrastination involves over-researching whatever it is I’m about to work on; a research rabbit hole. On top of the procrastination is a lot of staring at the ceiling. I like to lay on the floor and just stare and think and let solutions come to me. I make a lot of lists, draw loose, unreadable doodles and write notes by the doodle and on scraps of paper. I eat a lot of snacks. Once the more nebulous part of my process winds down it’s the typical thumbnail-ing out of the story. I get a general sense of the action down and start breaking down the text page by page. There’s some back and forth between me and the art director until we’ve sort of sculpted the book into shape. For final art I tend to work in almost a production line insofar as color is concerned. I will place all of the large, flat washes first, lay in all the darkest brown/black darks next and then sort of work back and forth between the values. It helps me keep a uniform palette through the book and I can keep on moving on other pieces while other ones are drying.